What a strong horse, despite the vague and soft lines and colors, this horse remains strong. Very strong. Horse Strong Head. 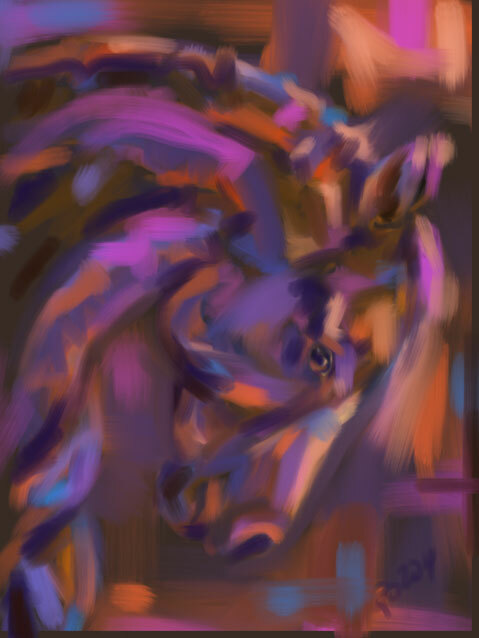 Horse, Horses, Horses Head, Horse Art, Horse Painting, Horse Paintings, Modern Horse Art, Abstract Horse, Digital Horse Art, Equine Art, Equestrian Art, Hippique, Horse Strong Head by Go van Kampen.